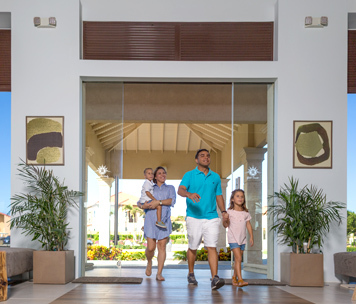 Our mission for Gold Coast is to actualize a premiere residential community in Aruba by providing meticulously-designed, high-quality homes and infrastructure, in addition to providing top-notch services comparable to that of five star resorts. Gold Coast is located in prestigious Malmok, just blocks away from the scenic northwest coastline which boasts some of the Island's most beautiful white-sand beaches surrounded by crystal aqua-marine waters. A fusion of casual sophistication is borrowed from the Mediterranean and is seamlessly enhanced with a contemporary Caribbean touch—all constructed to the highest standards. Gold Coast offers a variety of additional services. Our professional managed rental program was developed for owners of Gold Coast who have an interest to share their home on a short or long term basis to visitors of Aruba. The Gold Coast team is eager to provide the quality services that each owner deserves and expects and offer an extensive list of reasonably priced home services. A complete list of property care and community management services is provided to assist in maintaining the quality and integrity of the each home and the overall community. 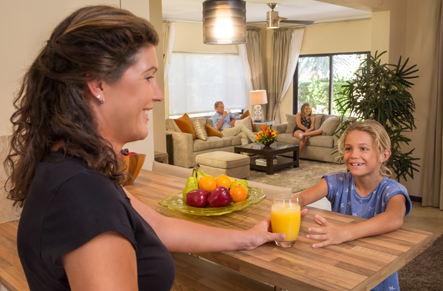 In an effort to facilitate this entire process and provide a less stressful experience, we have developed attractive furnishing packages designed to fit each specific need for the various Villa, Condo and Town Home designs. As homeowners in your beautiful development we wanted to let you know how happy we are to have bought 2 properties in Gold Coast. While our villa is being built we are enjoying our stays in the town house and look forward to the day we can move into the villa. On each visit it is like coming home and it is always with regret when we leave, but knowing that we will be back tempers the disappointment. We are also looking forward to the completion of the club house knowing that that facility will reflect the same as the rest of the development The development is well designed and the landscaping is very becoming. The visual effect on turning at the gate house is stunning. The quality of the layout, home designs and construction are all top notch, truly a reflection of the efforts your company is putting into the development to create a word class destination. After having looked at other developments on Aruba, and other Caribbean islands, we are very satisfied that we made the correct choice and have convinced another couple to emulate our decision. We will continue to do so and hope to increase the Canadian complement, adding to the cosmopolitan feel with owners from across the globe as fellow owners. I wanted to write to thank you again for all your courtesy and professionalism in helping me with my property at Gold Coast. I have been coming to Aruba since 1990 and to finally own a piece of "heaven" is very special to me but working with you and the other members of the "Gold Coast Team" has been a breath of fresh air. From my initially meeting with Odalys, meeting Rudy and Fito, working closely with Marisol and Marciano … all of you have made this so easy. I also can't thank you enough for stepping up to the plate when we had a few "situations" … the refrigerator breaking down and the issue with the spa. The way you and your team handled these problems for me went "over and above" your responsibility and I can't thank you enough. I have referred a few of my friends to you for the purpose of purchase their DREAM HOMES. They have been to our home and looked through the development plus I have told them how very happy and satisfied we have been with everyone. I am sure they will be purchasing also. Again … I want you know I do appreciate all you have for us. What started out as a business transaction has grown into a friendship. I wanted to share with you my great experience regarding the purchase of my vacation property. 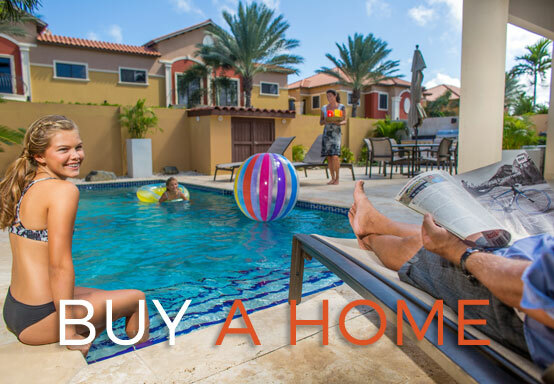 Without a doubt, my investment at Gold Coast Aruba was a terrific decision and I am very pleased with the purchase of my villa home. I was delivered a very high quality home within this wonderful gated community located in a great area on Aruba. The Gold Coast's friendly and professional staff made every effort to accommodate me and answer any question I had prior to making my decision and were very helpful during the construction phase. I was assigned a construction supervisor who monitored the construction daily and was always available to provide information and resolve any problems whether it was in person or by phone or e-mail. 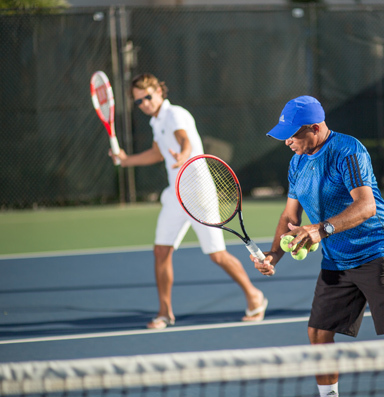 I am excited about the future of the community as it adds additional facilities and amenities. 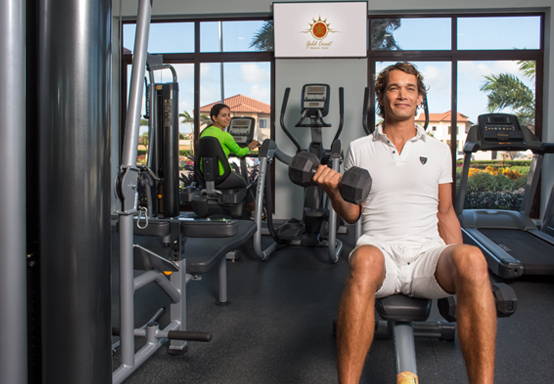 I would encourage anyone to seriously consider investment at Gold Coast which offers an unmatched value in Aruba as one owns the residence AND the land within a real attractive and secure environment. My love for Aruba has only become enhanced since I found Gold Coast. Having just taken ownership of our townhome on October 27, 2009, we must tell you that we can't be happier to finally have our dream vacation home! We took a leap of faith as GCV's fifth buyers in February 2006 when the land was still a cactus field, knowing that the selection of a Phase 2 home would take longer, but it truly was well worth the wait. We appreciate the professionalism and friendliness displayed by every staff member we encountered along the way. And we are extremely grateful to you for guiding us through this process and satisfactorily addressing any questions or concerns we had. Once construction began on the development, we were very impressed with the quality and design, and as it continued, we grew more excited about the prospect of our dream finally becoming a reality. We look forward to the construction of the clubhuse next year, which can only enhance the development. It is exciting to see this community expand and grow, and we are pleased to have met many new friends during this venture. We can't thank you enough for everything you have done for us and we look forward to many, many years of enjoyment in our "little piece of paradise." 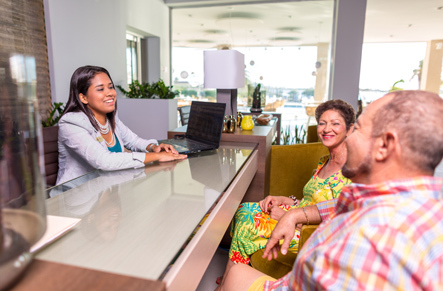 At Gold Coast Aruba, we feel every guest is special. 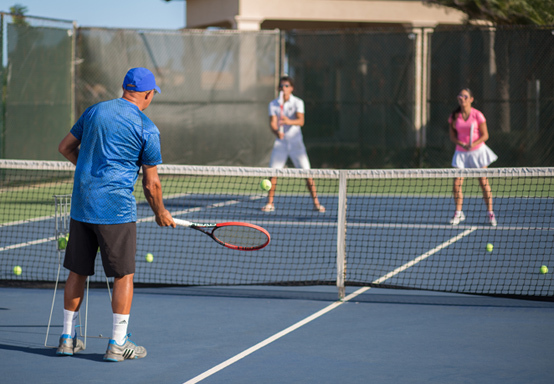 We offer all of our guests personalized service and special attention. The Gold Coast team is eager to provide the quality services that each owner deserves and expects. 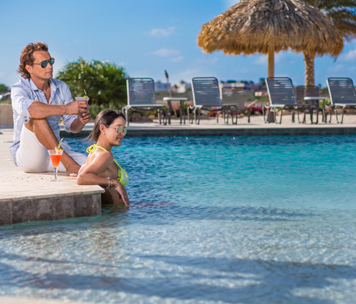 Gold Coast Aruba, the most exclusive residential complex on the island, which sets the tone for a luxurious life and excellent environment. 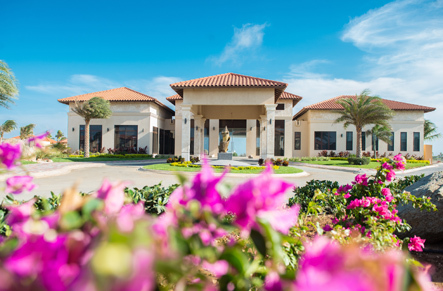 Gold Coast offers a variety of beautiful condominiums, townhomes, and villas! It is perfectly located within walking distance of the golf course and the Caribbean Sea, giving you the opportunity to enjoy the tropical breeze and spectacular beaches! 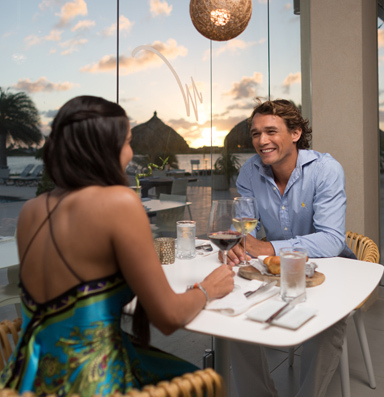 We invite you to consider Gold Coast Aruba as your second home! 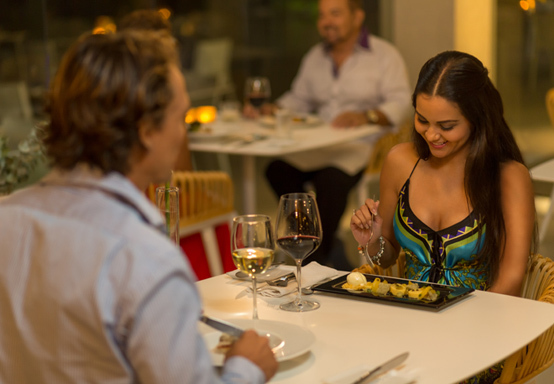 Gold Coast is host to one of the finest restaurant on Aruba: White Modern Cuisine. 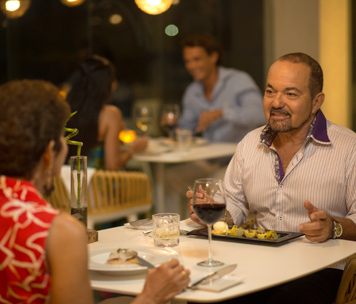 Partake in this exquisite dining experience on Aruba, where you are invited to savor and enjoy subtle harmony between different tastes of food, cocktails, and wines. Open for breakfast, lunch, brunch and dinner. 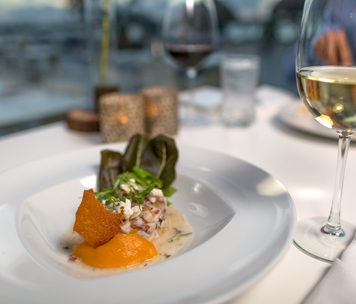 White's unique cuisine combines the best flavors and high-quality products brought to you in the purest form, achieving peace and balance in every dish. 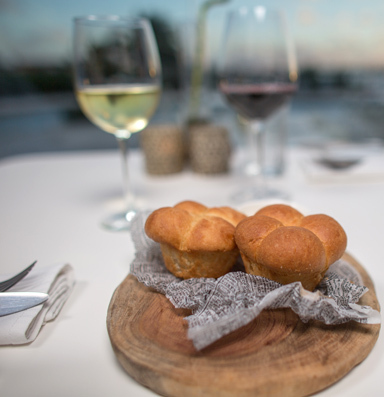 Sit back, relax, and let your culinary journey on the One Happy Island begin. Thinking of purchasing a home on the beautiful island of Aruba, and more specifically in Gold Coast? We want to make it easier for you by providing you with all the tips that we can give you. With this step by step Buyer's Guide, you'll be one step closer to becoming a new homeowner in no time.